Seven year old Lavinia doesn’t remember her past or even her name as she is taken in by the Captain and Master of Tall Oaks plantation, on whose boat she was found. Her parents died unable to survive the voyage from Ireland to America where they were to serve the Captain as indentured servants. The Captain, having sold off Lavinia’s brother, takes her to serve in his kitchens. At first Lavinia is unable to eat or speak but soon, comforted and loved by the slaves in the big house she opens up and regains health. Dory, Belle, Papa, Mama Mae all nurture and become Lavinia’s surrogate family, not letting color stand in the way of love. Over time, Lavinia learns all of the secrets to the plantation. She discovers that the head mistress fights a terrible addiction to opium and that Belle, the light-skinned kitchen slave, is the Captain’s daughter. Lavinia also learns of the tense relationship between Rankin the overseer, Mr. Waters the tutor, and the Captain who is frequently absent. She and the slaves are apprehensive every time the Captain is gone – which is frequently. They fear abuse at the hands of the tutor and overseer. Soon after several beatings and abuses are doled out to the slaves (as well as the Captain’s own son), life on the plantation is thrown into chaos. The tense line between races is broken, leaving Lavinia unsure where she fits in as a white servant who thinks of her fellow kitchen slaves as family. This book is an interesting look at gender, family, and slavery in 1790s and early 1800s. The Captain is described as sympathetic to his slaves’ conditions but leaves much or their care ultimately to two men who are as pro-slavery as they come. The Captain claimed to have loved Belle yet keeps her working in his kitchens and bought her mother at an auction. While the issues of slavery and servitude might not be fully developed, treatment of women is very clear within the book. Female characters are powerless in the man’s world – being left for long periods of time, raped, imprisoned, and bonded. Even the Captain’s own daughter must beg her father for her papers to be free. Lines and characters are not clear, perhaps to represent the true nature of the time period where people might have known it was wrong but did very little to change or stop it from continuing. So also is the interesting shadow with which indentured servitude was cast. Lavinia is white yet lives in the kitchens with the other slaves. The Captain dismisses that living and being raised with slaves would hurt any chance Lavinia had at a future, despite other characters asserting she’d never be able to find a husband or a future being raised this way. The narrator of the audiobook has a lovely Irish accent and overall the book raises many interesting and important questions. 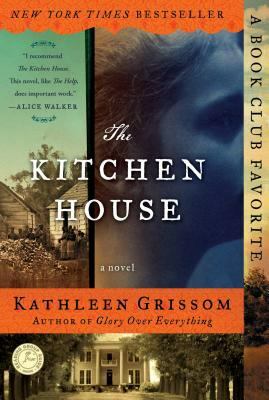 It feels like the author, Kathleen Grissom, teeters back and forth on where her characters stand on the issue of slavery but perhaps that is only to make her readers aware of the failure of society during this time to fully answer such questions themselves. The plot is a bit convoluted but The Kitchen House is overall worth a listen or read. This entry was posted in Reviews and tagged Indentured Servitude, Lindsay, Slavery, Treatment of Women on March 7, 2016 by lindsaykokai.